Our wonderful skilled staff will make you feel comfortable with your dental appointment. 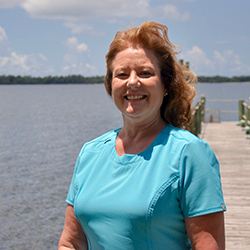 Sandy- Sandy has been a member of our dental team for over 35 years as our Dental Hygenist and Dental Assistant. 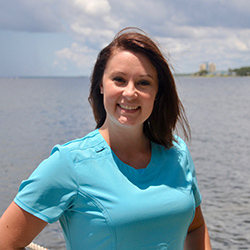 Sandyattended St. Petersburg College and has a Bachelor of Applied Science in Dental Hygiene. She also has a degree in Dental Assisting. Sandy enjoys spending time with her son Andrew, his wife Holly, and her new granddaughter Lucy. Sandy also enjoys playing at the local dog park with her dog,Tracker. Sandy is a member of Palo Alto Church of Christ and is very active with the children there. Allison- Allison has been a part of our team since 2015. She attended Metropolitain Community College in Nebraska. She is our Patient Services and Insurance Coordinator. She enjoys helping the patients have an enjoyable and pleasant dental experience. She enjoys spending time with her time on the beach with her husband, Gavin and two dogs. Lisa- Lisa has been with our office for over 19 combined years. 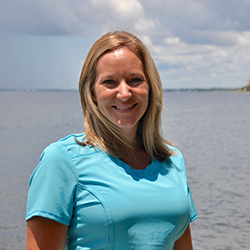 Lisa oversees and implements the business aspects of our practice. She has also been Dr. Harrison's chairside assistant since she began working with him. Patients appreciate her confidence and knowledge of dentistry. 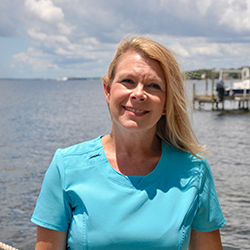 Lisa enjoys gardening, fishing, and spending time with her husband, Blane. She also enjoys go to visit her sons, Chase and daughter-in-law Heather in Cincinnati, Ohio and Cory in Tampa, FL. Joy- Joy recentley joined our team in 2016 as one of our Dental Hygienists. She attended Georgia Middle Technical College and New Mexico State University. Joy has been in the dental field for 8 years, and she is enthusiasic about her profession and cares about her patients and their health.